The Magnum Opus , or Great Work, is a term from alchemy for the process of creating the Philosopher’s Stone, which is a substance that was purported to be able to turn stuff into gold, like King Midas’s Touch. Work and Stone can also be metaphors for perfecting the individual self, as gold was considered the perfect material. T he Great Work is often broken into four stages, identified by different colors also seen in the Medicine Wheel of Native Americans. 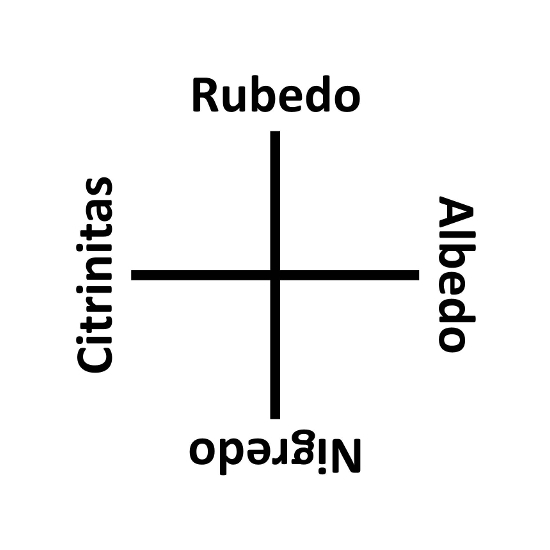 Red is Rubedo or Iosis, White is Albedo or Leukosis, Black is Nigredo or Melanosis, and Yellow is Citrinitas or Xanthosis. 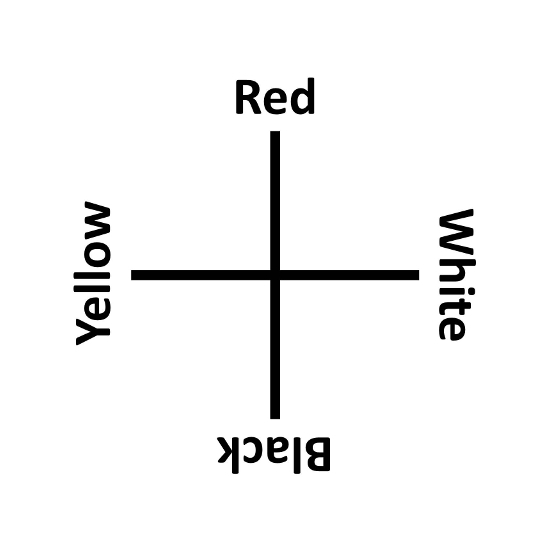 The order is usually Black, White, Yellow, and then Red, through beginning to ending stages of the work. 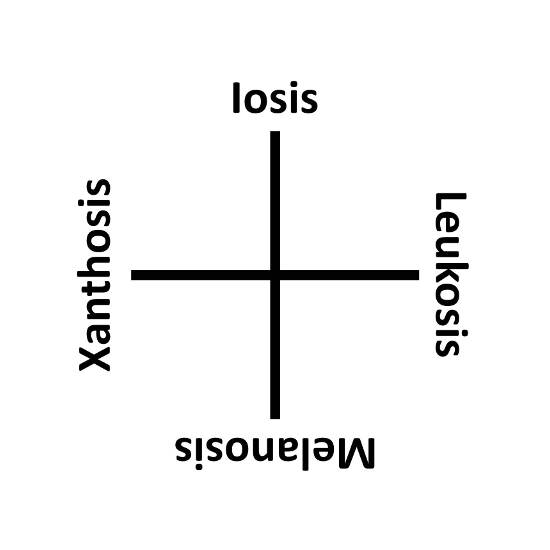 Is this my Great Work? Will I create a Philosopher’s Stone? This entry was posted on February 9, 2015 at 9:31 AM and is filed under alchemy, fourfolds. You can follow any responses to this entry through the RSS 2.0 feed. You can leave a response, or trackback from your own site.